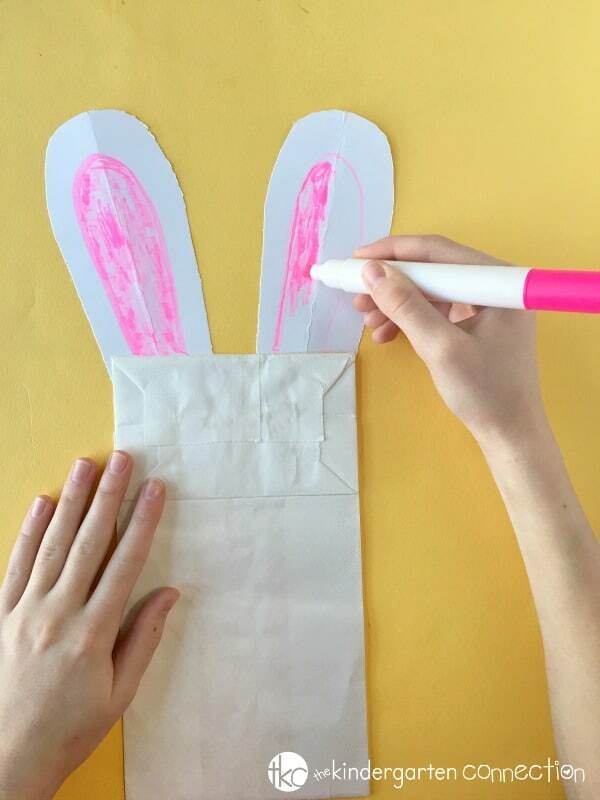 Great for a spring study, make these rabbit paper bag puppets. 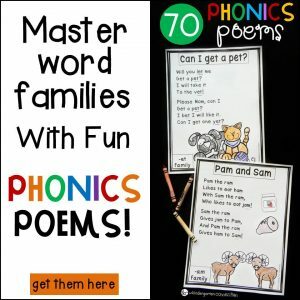 They go well with any rabbit books, especially the book Rabbit & Robot! 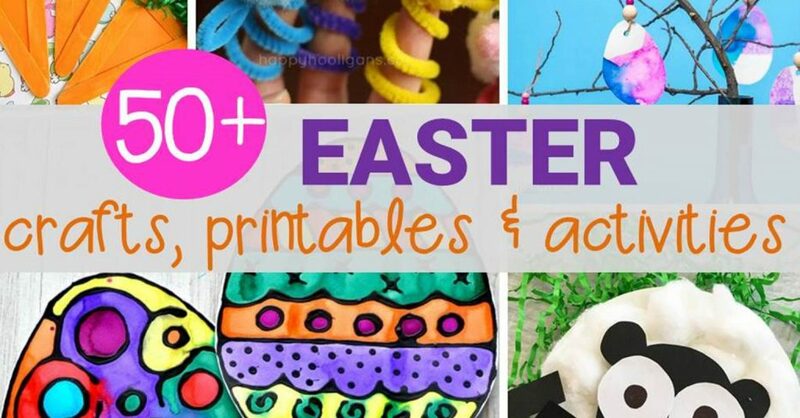 These rabbit paper bag puppets are a fun Spring project to try in your home or classroom! 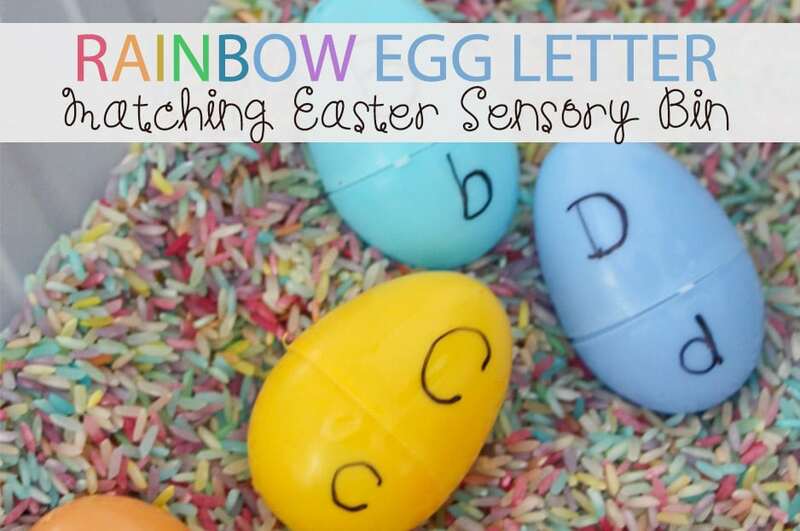 This project would be the perfect accompaniment for any book involving bunnies. 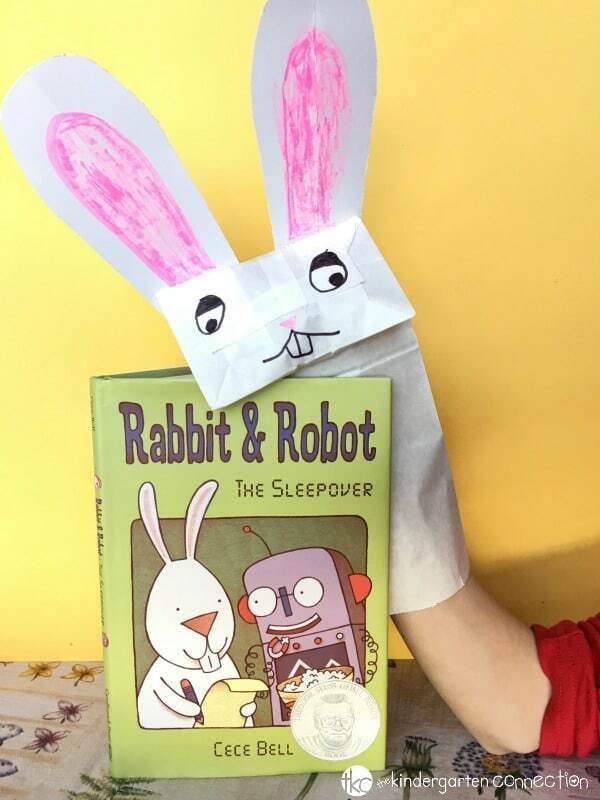 We thought we would make some of these rabbit paper bag puppets after reading the book Rabbit & Robot together. Rabbit & Robot is an early chapter book that celebrates differences within an unlikely friendship. 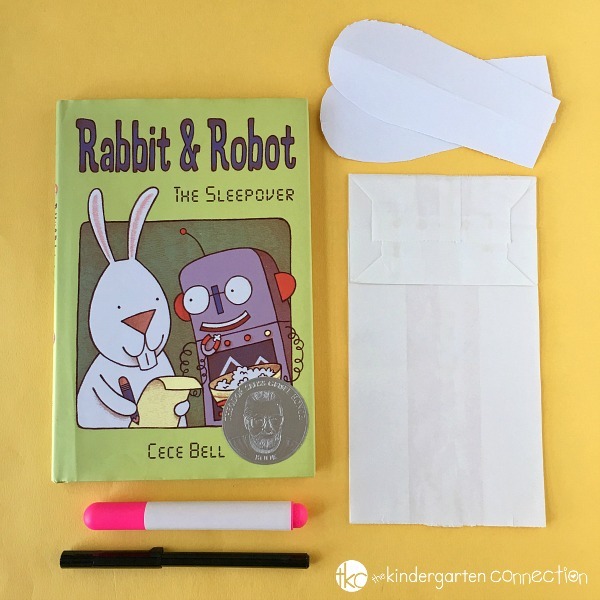 Rabbit and Robot must navigate thru a series of compromises to make their sleepover work. 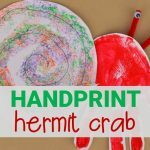 After reading the story, these paper bag puppets are a fun way for students to re-enact the story! To save time, especially if you’re working with multiple students, you may want to have the ears pre-cut and ready to go. 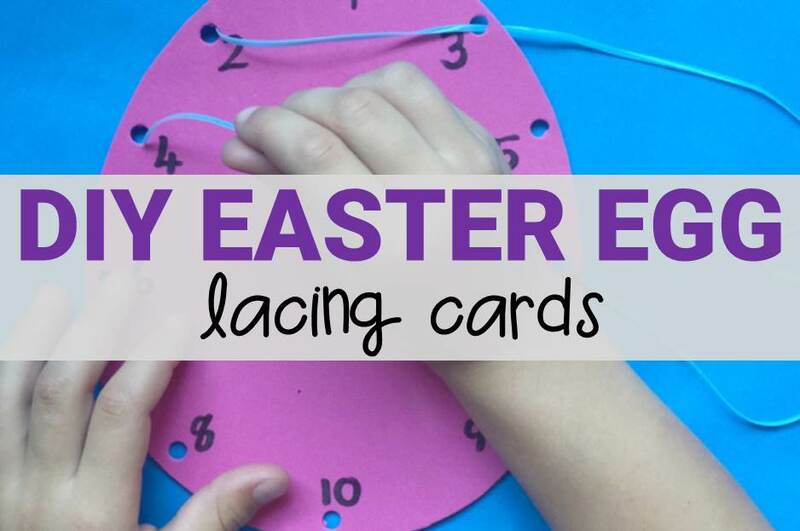 Invite the students to attach the rabbit’s ears with glue or tape. They might want to add some pink marker to the inside of the ears, and maybe draw a pink nose too. Using black fine tip marker, students can add the other facial features like eyes, nose, and mouth. In just a few minutes, your puppet will be ready for play time! 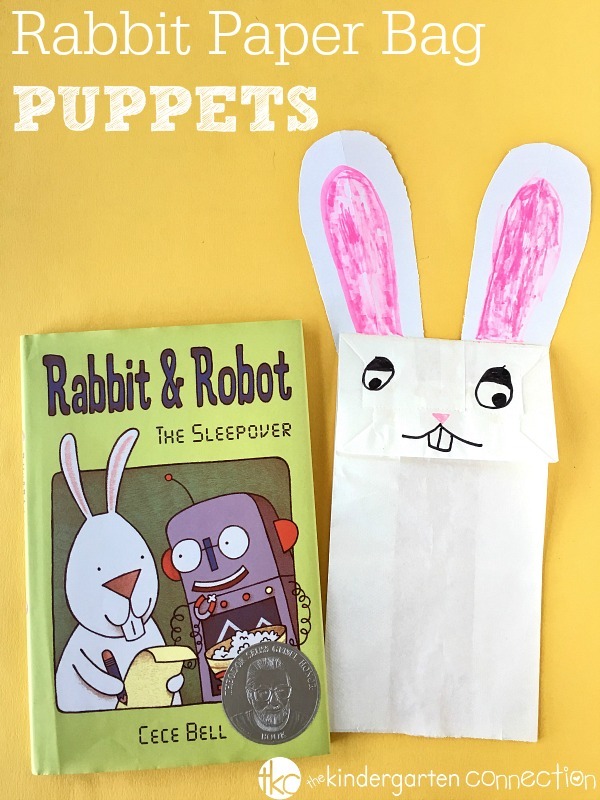 Place the puppet on your hand and get ready to host your own version of Rabbit & Robot. 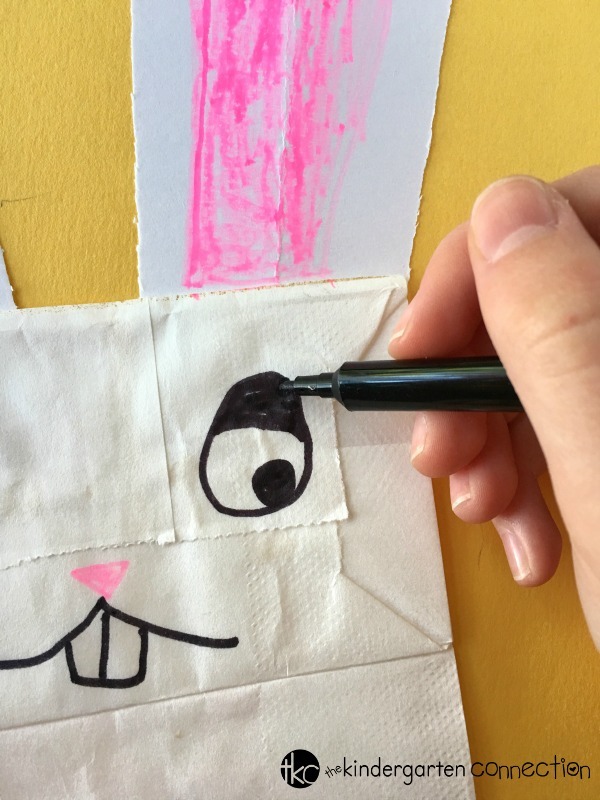 These bunny paper bag puppets would be the perfect easy craft for Easter too. Have fun! 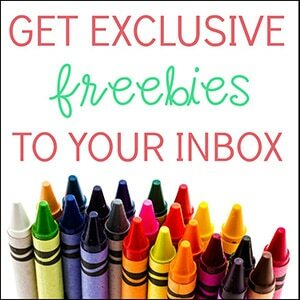 wow–this is great. 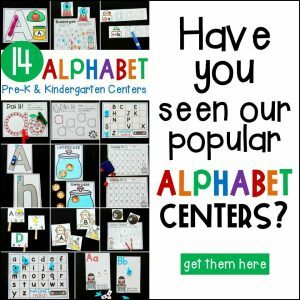 I will have all my spring ideas for crafts right here. 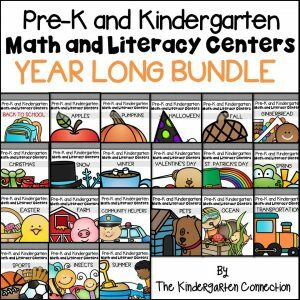 Will save me lots of time and the children will truly love them.